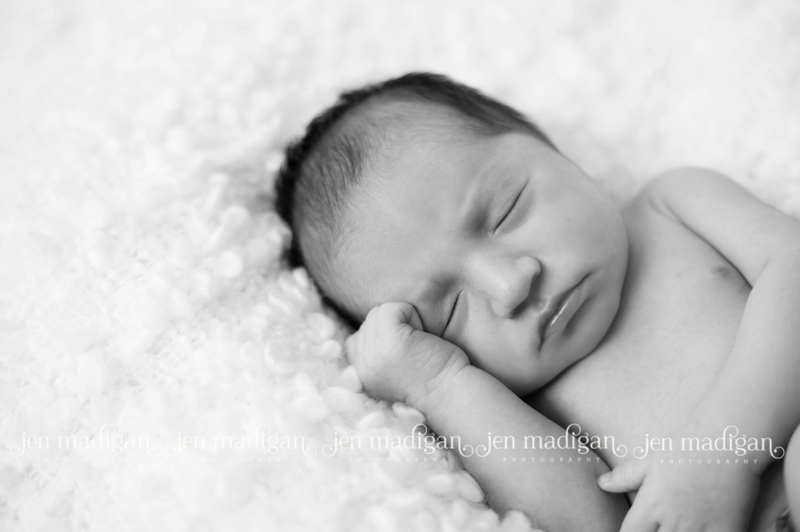 Meet Logan, who was only 4 days old last Saturday when we met for photos at his parents' home in North Liberty. Just look at that head of hair! 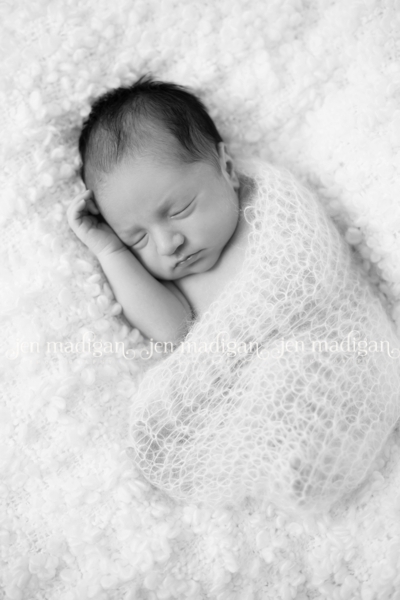 This little guy was such a great model, sleeping nearly the entire session. Keeping an eye on things alongside mom was his big sister Autumn (age 4), who was a wonderful role model and even sent me home with a cute little drawing for my fridge. 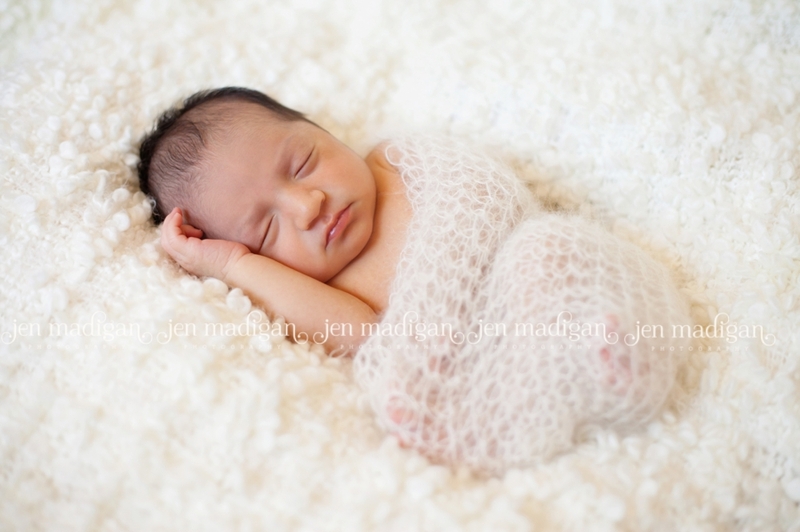 Priscilla, I hope you love these preview images - thank you for inviting me into your home and giving me the opportunity to photograph your new little guy! These first two are my faves...I think. So hard to choose! 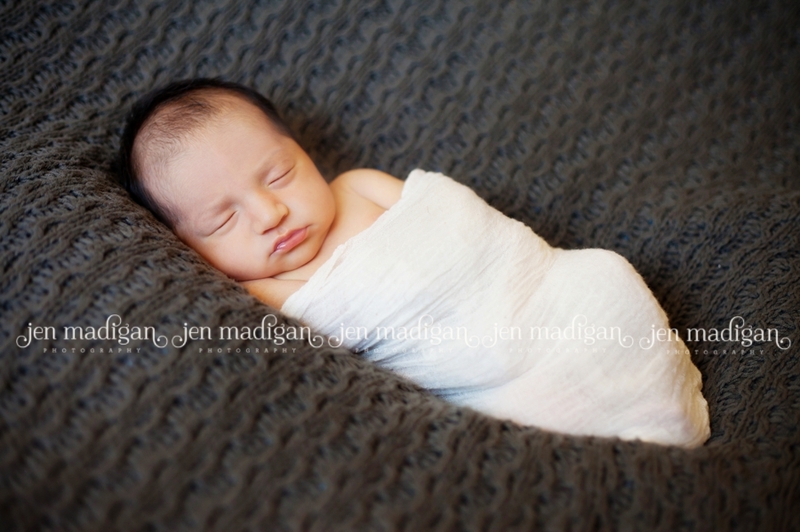 Thank you to Andrea from Forever Handmade for loaning me the wrap! 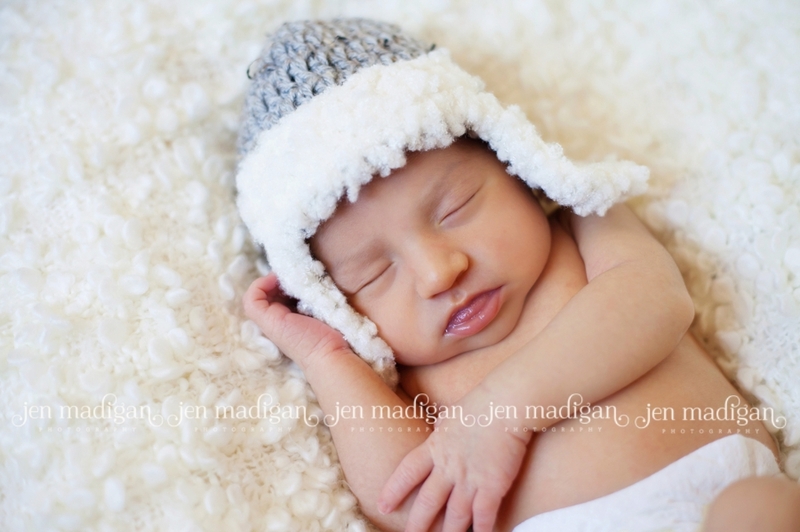 Thank you to Andrea from Forever Handmade for loaning me the hat!